Continuing a tradition of artist collaborations – and the launch of special bottles for Los Angeles, Miami and Istanbul – Absolut has created a series of limited edition bottles for Mexico that reinforce the brand’s innovative image. This series of market-specific bottles is linked to Absolut’s brand philosophy of innovation and continues a tradition of special bottles created in collaboration with noted artists. The positive response to the series should provide incentive, for marketers in any industry, to find ways of collaborating creatively with your local communities, connecting more deeply with your customers while supporting local culture and heritage. 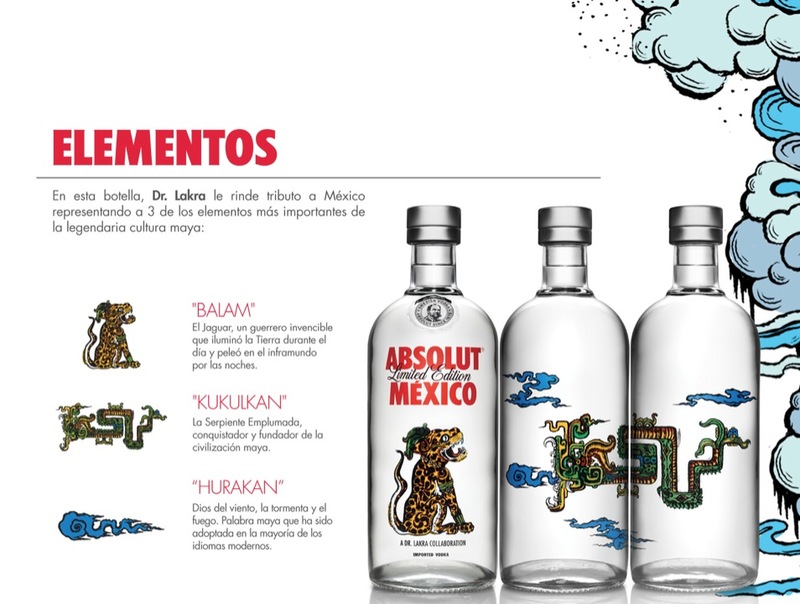 Absolut has a nice microsite expanding on the background of their collaboration with Dr. Lakra. To see the site, you’ll have to enter a date of birth that ‘proves’ you are of legal drinking age…and you have to understand Spanish.